In a desperate attempt to prove the various "birther" rumours regarding President Obama's citizenship that have been circulating since 2008, conservatives have taken to editing photographs of the president with his family to help advance their agenda. Jack Cashill, the right-wing journalist currently winning the national game of "'prove' the most outlandish thing you possibly can about Barack Obama" with both his theory that Bill Ayers ghost-wrote "Dreams From My Father" and his claim that the president's father was actually Jimi Hendrix, dropped a bombshell today: Barack Obama is not actually in a photo of Barack Obama and his grandparents. 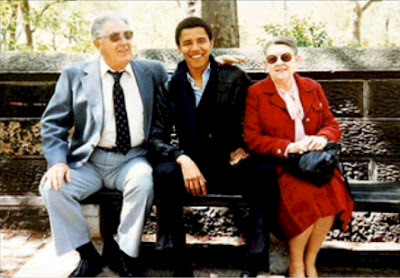 In his definitive 2010 biography of Barack Obama, "The Bridge," New Yorker editor David Remnick features a photograph of a dapper young Barack Obama sitting between his grandparents on a Central Park bench. The bench is real. 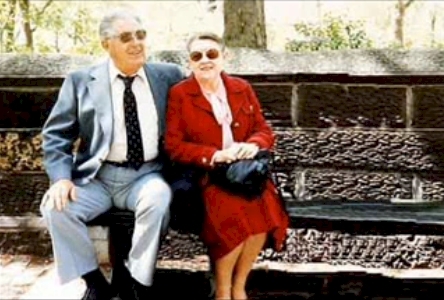 The grandparents are real. The wall behind them is real. Barack Obama is not. He has been conspicuously photoshopped in. Who did this and why remains as much a mystery as Obama's extended stay in New York. Notice not only Obama's knee (minus Obama), the repititious patterns found in the circle number one and the rectangular swatch in circle number two? 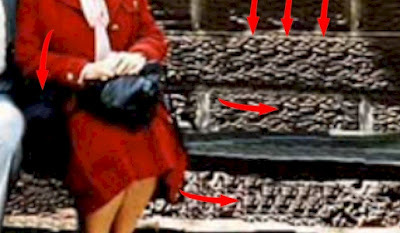 The patterns that repeat in the above section can also be found in the other stone block that was behind the president's grandmother. These little facts don't seem to interrupt Cashill and Pareene notes that he was recently on "Fox and Friends" to promote his investigations into the president's background. If this guy is basing his information off of faulty information, such as an edited photograph, why should he even be given airtime on a network supposedly dedicated to presenting "fair and balanced" news? In the segment on "Fox and Friends," Cashill claims that he can prove the president did not write his books, insisting that the evidence is in his book. Again, if his "evidence" is anything like this hack photo, then why is this idiot given the time of day? For God's sake. Is he being funded by the Dumpster? Then of course there's Hand, hovering ominously over Obama's shoulder.